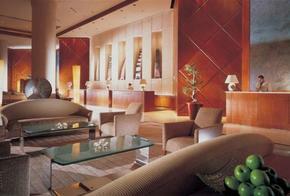 Find a luxury hotel in Singapore from the Hotique Hip Hotels Guide. Hotique is an independent guide, featuring luxury 5 star design hotels, hip hotels and unique boutique hotels including hip hotels in Singapore. 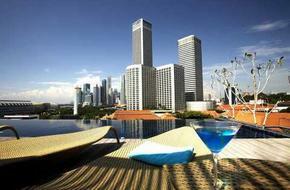 View our featured hotels in Singapore below or search for a boutique hotel in Singapore. Singapore is young and lively city and in recent years it has started to attract the hip hotels to match. So Hotique has been on a search for the latest Boutique hotels that are right in the centre of the action – close to the shops & retail Singapore is famous for with easy access to the restaurants and bars for evening entertainment. The Naumi Hotel in Singapore is right next door to the famous ( but traditional style) Raffles Singapore. Upgrade your Singapore stay to boutique-style, and if you want to watch the tourists at the long bar in Raffles – it’s only a minutes walk away. Naumi’s rooms are large, spacious and modern – every room in Naumi is a suite and is design hotel friendly so very easy on the eye. Read the full review of the Naumi Hotel, Singapore. Find a stylish boutique hotel in Singapore from the Hotique Hip Hotels Guide. Design Hotels in Singapore - from Hotique. Find your perfect hip hotel in Singapore.